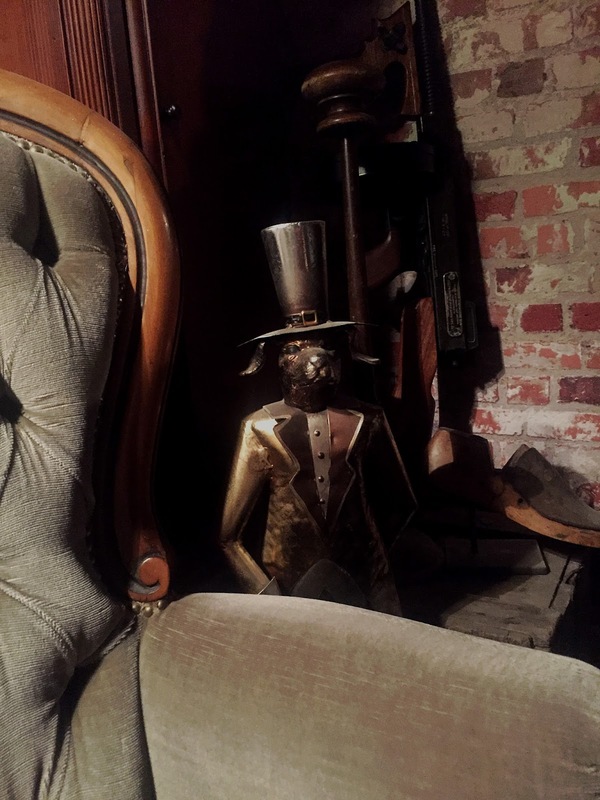 When we arrived the address lead us to the Gentlemans Retreat Barbers, which is situated down a narrow street that is almost an alley way, when we entered the building we were shown through a bookcase entrance, which within itself is something different to boast about. 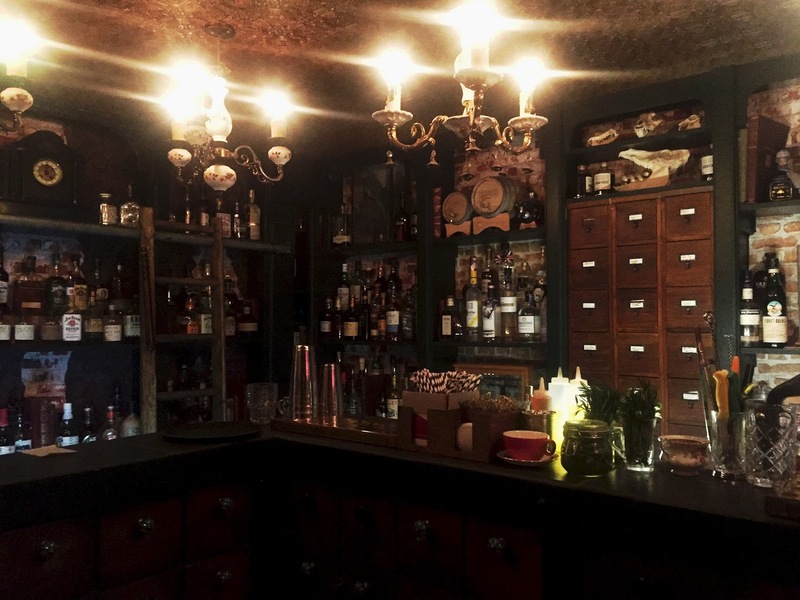 Through the bookcase was The Blind Librarian, a 1920's themed speakeasy bar. 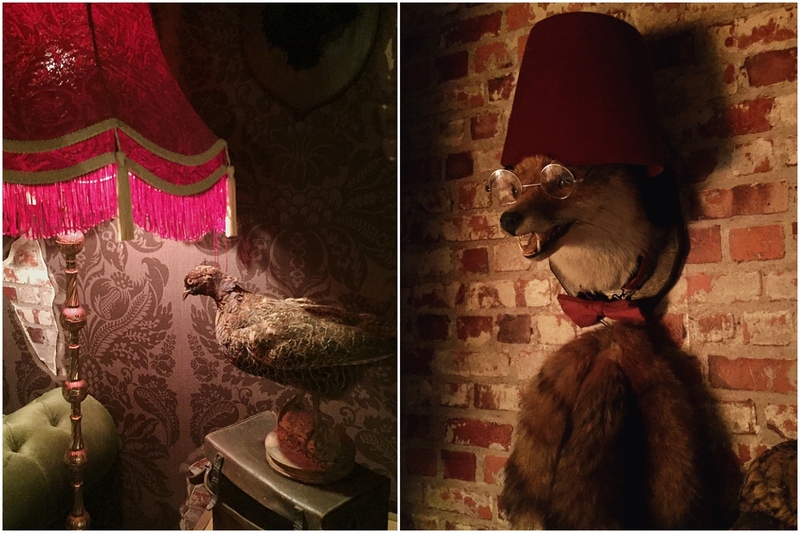 Decorated top to bottom in vintage items, taxidermy and everything to really give it a 1920's feel. 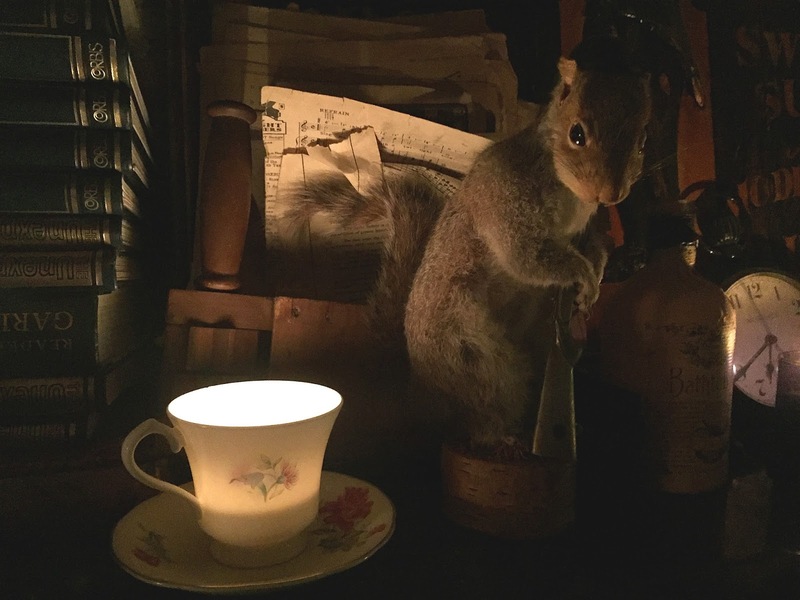 It also has a real cosy feel as there was no daylight and it was dimly lit by some really beautiful antique lights and lamps. 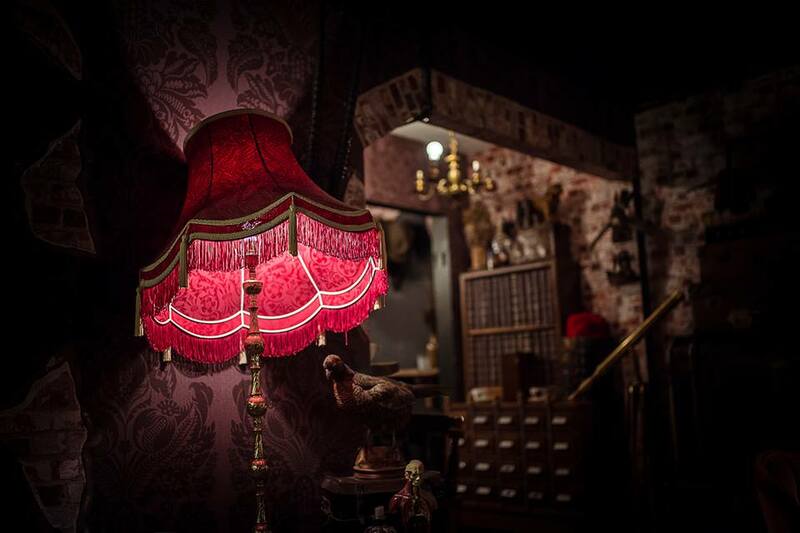 Now, lets get onto one of the other main attractions (apart from the amazing decor and general vibe of course) the selection of drinks! TBL has a large selection of premium quality spirits, the list is so long I was in heaven. They also have a pretty impressive cocktails menu, and I was almost spoilt for choice! 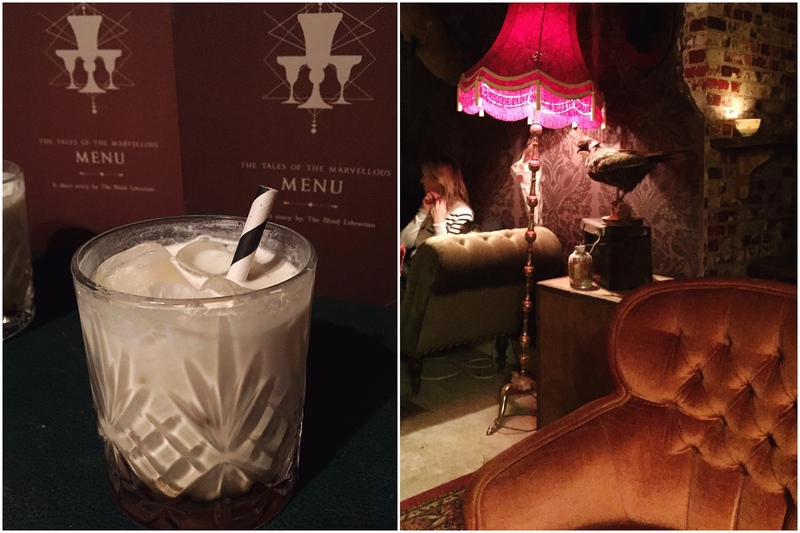 My cocktail of choice was the White Russian which is my all time favourite... and I make a really good one myself so I was well ready to try it, and it was super tasty. 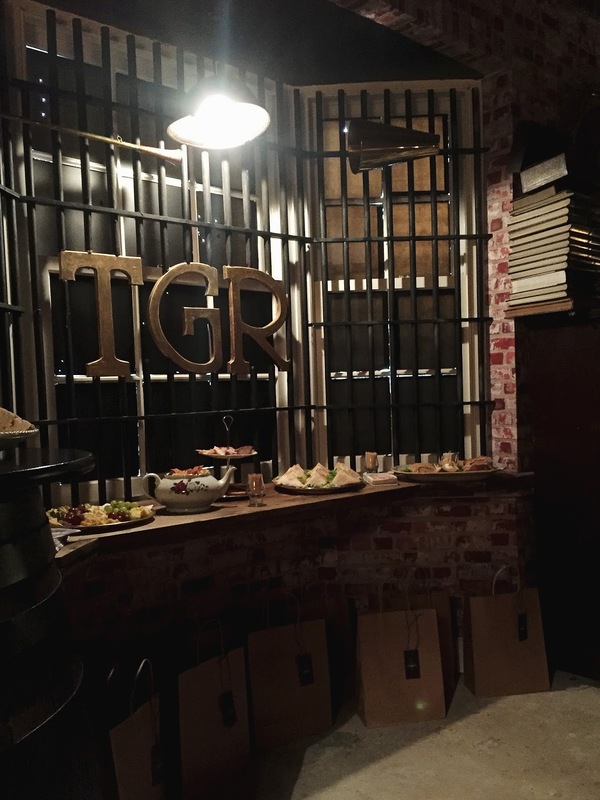 The whole atmosphere of the night was amazing, music lightly played in the background and everyone was sat comfortably on little antique sofas, TBL provided nibbles and menu's to look at. The staff were very friendly, they dressed suitably for the theme and gave a table service, so we didn't really have to worry about going up and down to the bar. 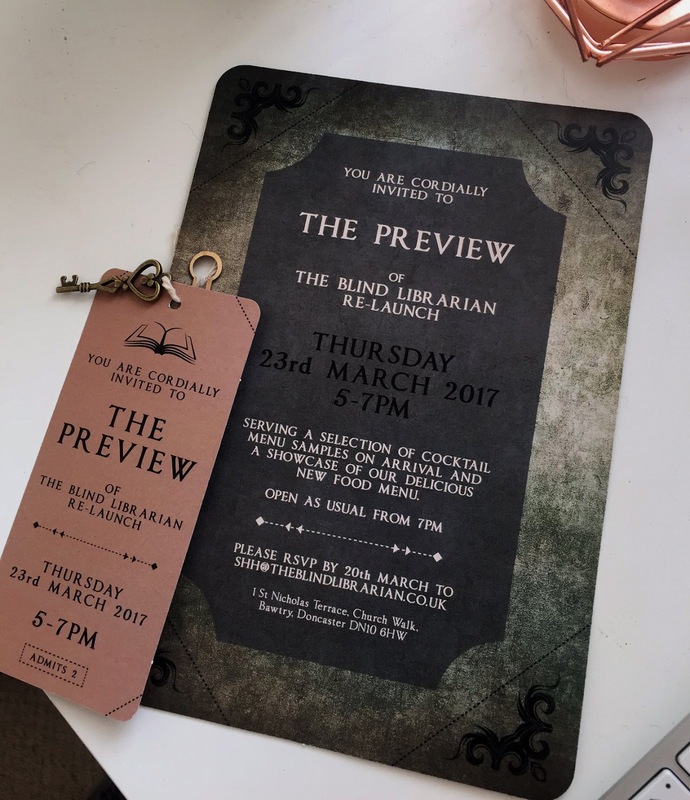 The Blind Librarian is definitely a whole different experience to what you would normally get from bars and restaurants around Doncaster, I would definitely class it as a one of a kind place! Especially with the Barbers upstairs. I definitely want to pay another visit, and if you are ever nearby you should too! Also go give The Blind Librarian a follow on Instagram and head over and drop them a like on Facebook to keep updated. Thank you for looking! I'm so glad you had a good time! We'll have to go again and get some cool shots on the sofas!